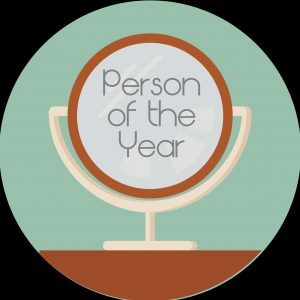 You are my Person of the Year. You are my Silence Breaker. Today’s cover of TIME Magazine named the “Silence Breakers” as Person of the Year. These are the men and women who added their voice to a growing conversation about sexual violence as a part of the #MeToo movement. You don’t need to be on the cover of TIME to be a silence breaker. In fact, the kinds of conversations that will change culture and support survivors aren’t public ones. They are the conversations you will have in your living room, at your kitchen table, your office, or on the phone with a dear friend. They are conversations you can have today, tomorrow and every day. These conversations aren’t easy, especially when we come at them with little practice or experience. Even the Silence Breakers on the cover of TIME didn’t always know what to say or how to say it. We fumble with the words. We stay silent when we know we should speak up. We feel discomfort like a monster in our stomachs. We think it might be easier to stay quiet than to push through to the other side. Breaking silence is an act of revolution, whether or not your revolution makes the news. Breaking silence transforms relationships, families and organizations. And it gives hope to those who have been speaking into the abyss for far too long. Today, I’m honoring the Silence Breakers who have been a part of The Uncomfortable Conversation. I’m honoring Jeffrey, Jonathan, Amanda, Anneke, Krystle, Hannah, Wayne, Austin, Dana, Campbell, Kristen, Russ, Kevin, Julie, Zarak, Susan, Mia, Fernando, Noelle, Toni, Beverly, Richard, Bella, Erin, Teresa, Mandi, David, Chris, Kim, Steven, Jody, Aoife, Cara, Aaron, Mike, James, Theodora, Tom, Carl, Kadahj and the 2,000+ people who have watched videos on The Uncomfortable Conversation to date. Thank you for your commitment to getting uncomfortable, to breaking silence, and to giving voice to allies, partners, friends and survivors alike. Our voices matter. They heal. They push us forward. They make us think, feel and respond. Our conversations change culture, a culture that desperately needs changing. A culture where we can all feel safe and secure. Oh yes, and don’t forget you. Yes, you. You are a silence breaker. And you are my Person of the Year.